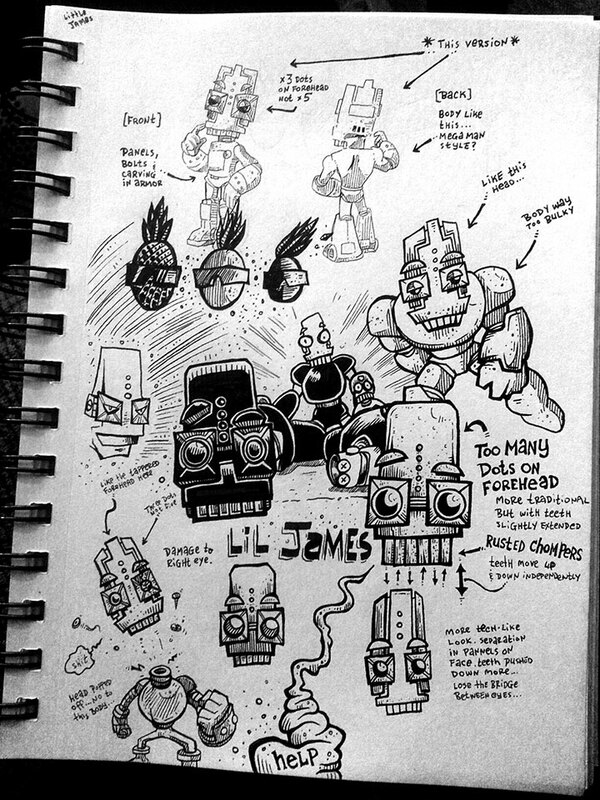 This time we dive into re-conceptualizing everyone’s least favorite robot, Little James! He’s a Swiss-Army Knife robot that can only transform into relatively useless things. Little James came into existence years ago with the Character Countdown that never really took off. For whatever reason, I thought a Little James reboot was necessary. I wanted to give his dumb face a makeover. This time I started thinking about what his body would look like too. Definitely reminiscent of Mega Man bosses, I’d say. Enjoyed drawing him with a lighter, less bulky frame with panels and tech-stuff all over him. Tools used: Pigma Micron 005, 01, 03, Pigma Graphic pens 1 & 2 (chisel tip is dope).